Let me begin by saying, I love cookbooks. I love to leaf through them, gaze adoringly at the pictures and dream of future meals. What I don't love is the nonsensical writing that surrounds the recipes. Just tell me how to make the food! My point is while I normally sidestep the obligatory filler material in cook books, I actually read everything in this book. Everything. I know! Craziness! Now the important part, the recipes. For anyone wondering, this is not a vegetarian cookbook. 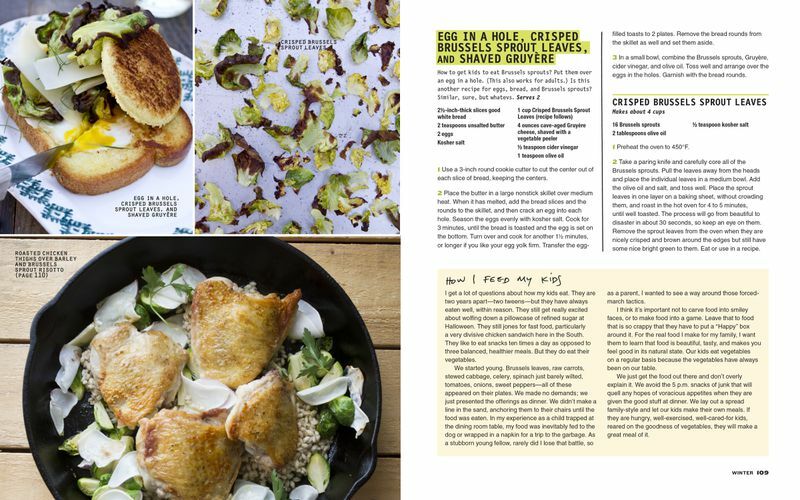 It is a book that teaches you how to cook not only your standards, but those vegetables that you walk buy at the grocery store (or farmer's market, if you're fancy) and say to yourself, "Thanks, but no thanks. What would I do with you?" Then those poor vegetables sit there sadly, like puppies in the pet store window, waiting for someone more adventurous to take a chance on them. Now you can be that adventurous person! Look, you can do more with Brussels sprouts than saute them with bacon for Thanksgiving. Who knew? I like that amidst the more complicated recipes (complicated as in there are more steps than the average person might want to be bothered with), there are plenty of easy quick ones. I really like that he pickles and ferments a lot of these vegetables too. 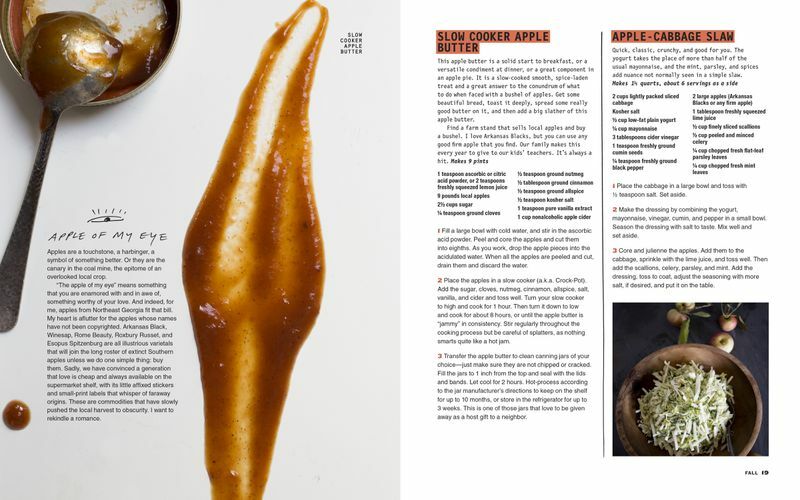 I also like that he broke everything down by season, so you know that Fall is the best time to make this Slow Cooker Apple Butter. WOULD I BUY IT? I think you can tell, that's a definite yes. I like his style of writing. I like the diversity of recipes. Mostly, I think The Broad Fork really is a good cookbook. He says in the intro, "It is a book that I hope will live in your kitchen rather than a on your coffee table, because not one of us cooks at our coffee table." It's found a home in my kitchen, I hope it finds one in yours.